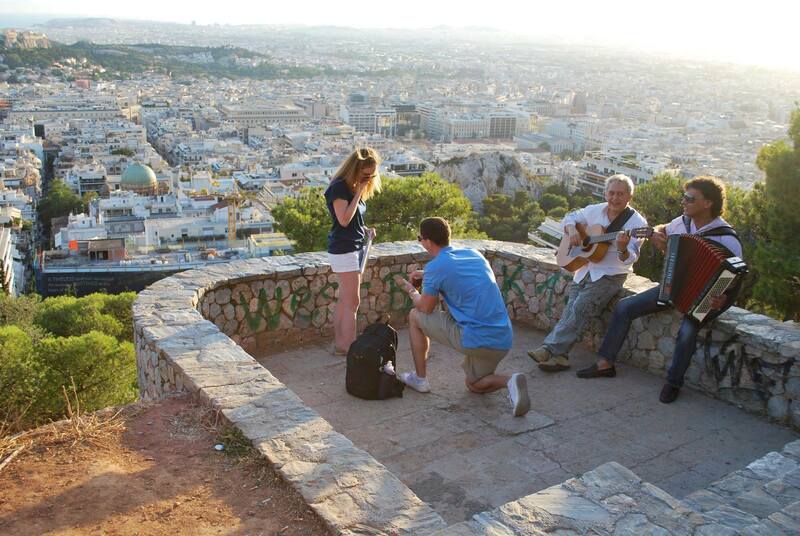 Athens will forever be a special place for me and my husband as this is where he proposed. However, if I’m being completely objective, Athens is not a city I would invest a great amount of time in as the islands offer not just a lot of history but also beauty. This was actually my second time visiting Greece. The first time I visited in 2008 with my sister and good friend and we stayed 2 nights in Greece and enjoyed it. The city itself had a little bit of turmoil so we did experience Taxi strikes and see the after math of riots but there are plenty of safe areas to stay in. 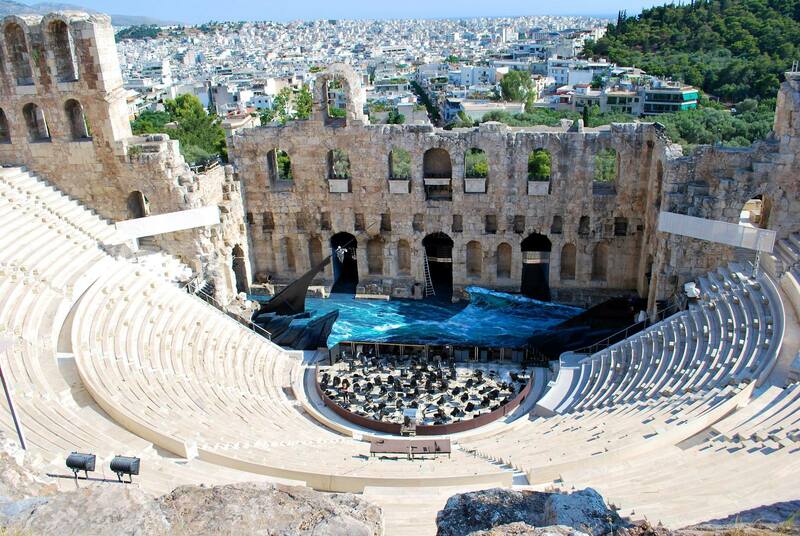 With that said, all the must-sees in Athens can be conquered in half of a day. 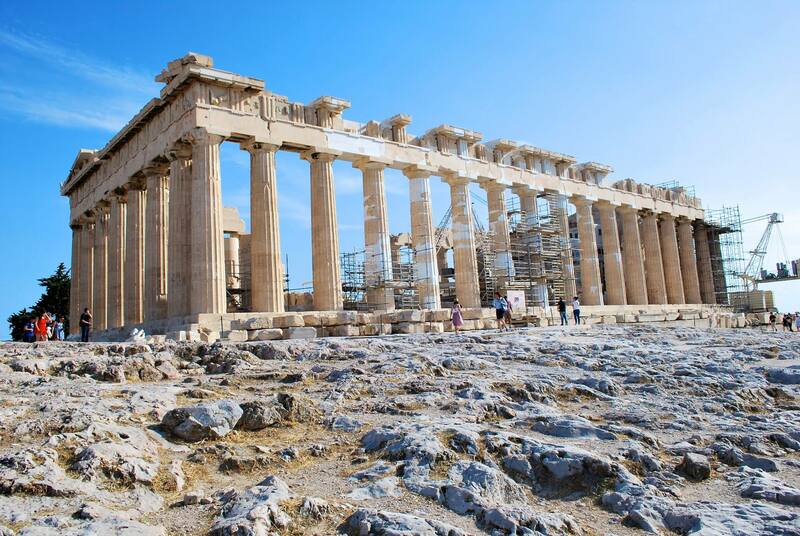 We opted to do a 4-hour private “Golden Age” tour of Athens with Athens Taxi Tours. Yanni was very easy to work with. He had a driver pick us up at the airport, take us on the tour, then return us back to the airport hotel where we flew out early the next morning. Friends of ours coordinated the timing so that they could do the 4-hour tour and still make a flight the same evening to one of the islands. The tour details/sites visited are detailed on the link above. One night we had drinks in the Plaka area and had a great time. The area was bustling with people. The nightlife doesn’t get started until very late (around midnight) so plan accordingly! We also took an overnight trip to Delphi, Greece and stayed at the Delphi Palace Hotel ( 69 Apollonos Street, 33054, Delphi, Greece). We had a spectacular view of the lake and enjoyed the night life in this small town. 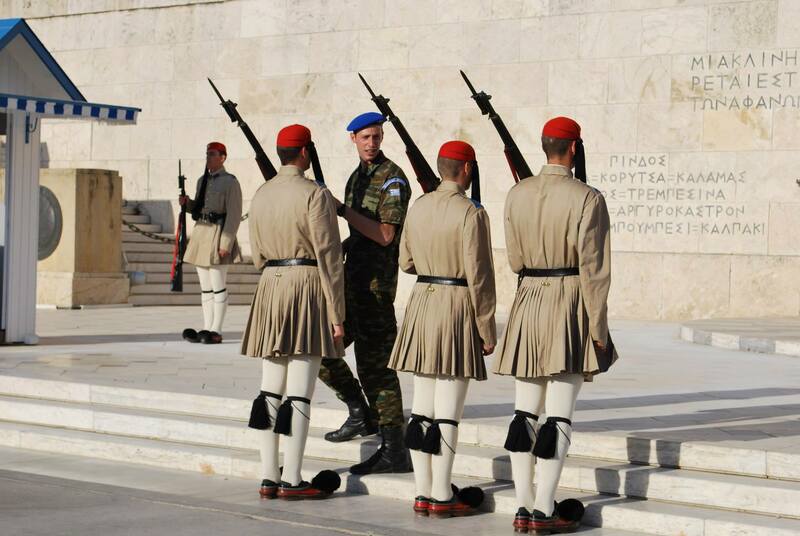 We also enjoyed the tour of the Pan-Hellenic sanctuary. 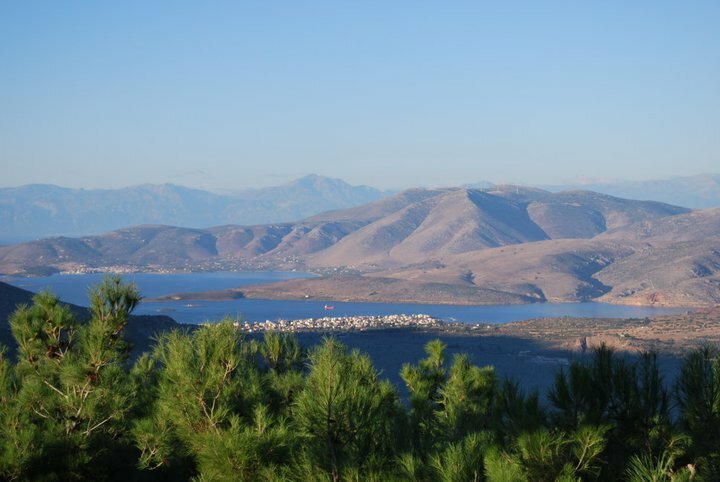 Also in 2008, we opted for a cruise of the islands through Louis Hellenic Cruises. The food was good and the rooms, clean and comfortable. Very run of the mill cruise liner rooms. Tzatziki – I love this dip. It’s a cucumber/yogurt dip that can be used as an appetizer or compliment to any meat…but traditionally, both! Dolmathakia – Stuffed grape leaves with rice and pine nuts with spices. Souvlaki –Anytime you see “Souvlaki,” it means that it’s a skewer…usually of various meats. Greek Salads- usually with olives, feta, cucumber and tomato but you won’t find lettuce in this salad! 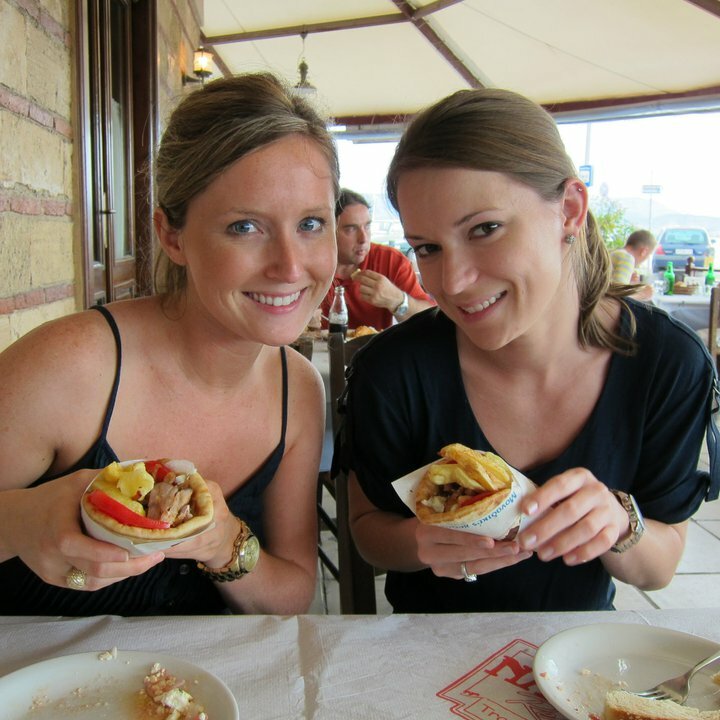 Gyros – you will find this anywhere and everywhere and are rather cheap! They’re pitas stuffed with meat of your choice and various additions such as fries and vegetables. This entry was posted in Athens and other mainland trips, Travel and tagged acropolis, Athens, Colosseum, Delphi, Europe, food, Greece, greek, gyros, mousakka, Olympia, Olympics, Parthenon, plaka, souvlaki, Spanakopita, taxi tour, travel, tzatziki. Bookmark the permalink.